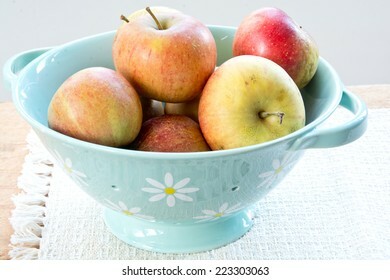 668 stock photos, vectors, and illustrations are available royalty-free. 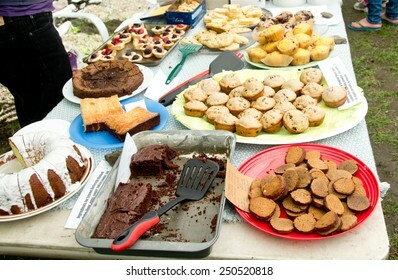 A bake sale is in full progress. All items for sale have been labeled with ingredients for the benefit of those with food allergies. 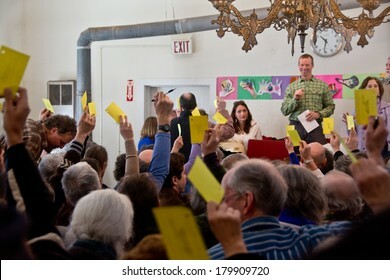 Calais, Vermont, USA - March 4, 2014: Voters raise yellow cards to register their vote on this vote from the floor at the Calais Town Hall during the school board meeting on Town Meeting Day. 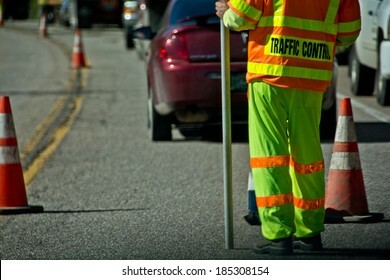 Traffic control is hazardous work, which is why they wear high visibility clothing. 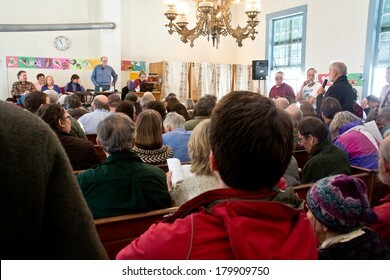 Calais, Vermont, USA - March 4, 2014: Residents discuss proposals put forward to voters at Town Meeting in the Calais Town Hall. 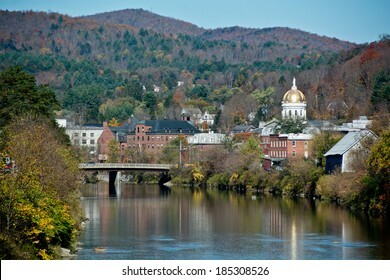 Montpelier, Vermont sits astride the Winooski River in the center of the state. 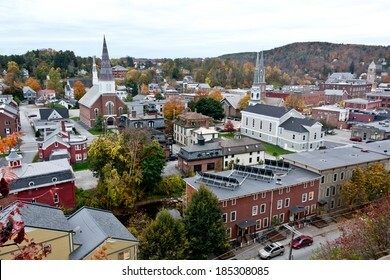 Solar panels grace the roof of an apartment building in this autumn cityscape view of Montpelier, Vermont's state capital. 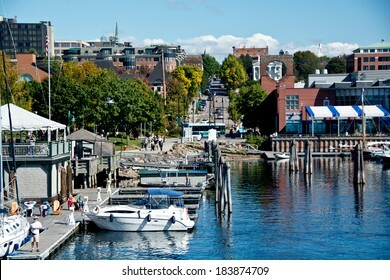 Burlington, VT, USA - September 30, 2013: People gather to watch the boats along the water at the Burlington Marina while pedestrians walk the Island Line Trail along the waterfront in the sun. 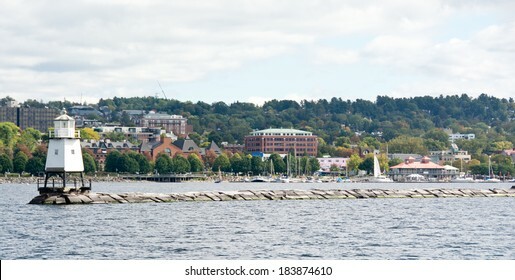 With 40,000 residents, Burlington, Vermont is the largest city in the state. 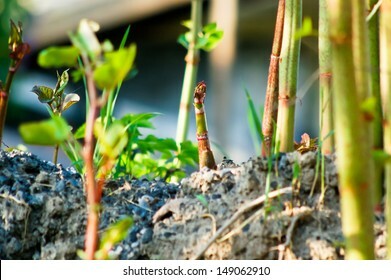 Japanese knotweed is a much reviled invasive species. However, its tender young sprouts are edible and tasty. A pile of carrot seeds is ready to plant in a spring garden. 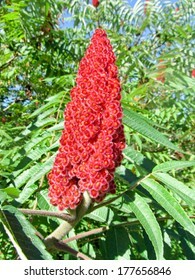 These seeds are from the Scarlet Nantes variety. 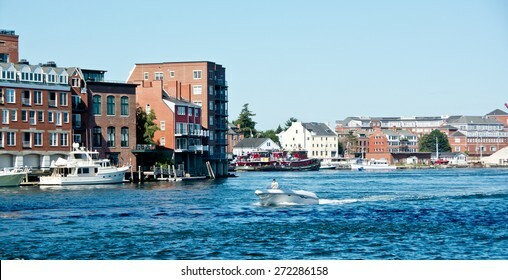 Portsmouth, NH, USA - August 9, 2014: A motorboat cruises out of Old Harbor on a sunny summer morning. 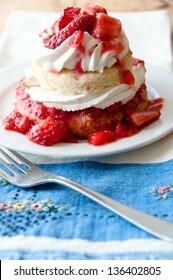 A serving of strawberry shortcake sits on a plate. Under the plate is a white napkin with fancy red and black embroidery. 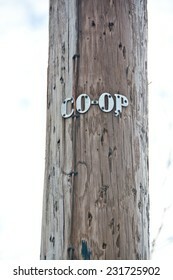 The letters on this telephone pole show that it is owned by an electrical cooperative. Electrical co-ops provide power throughout many of the rural areas of the United States. 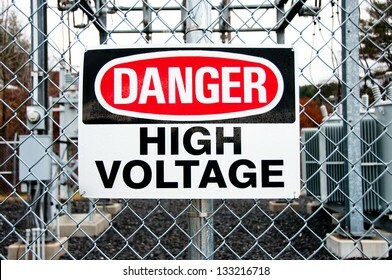 A big red, white and black danger warns trespassers away from this substation. 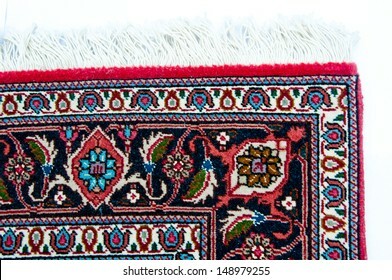 The edge of a Persian rug is shown in close up. 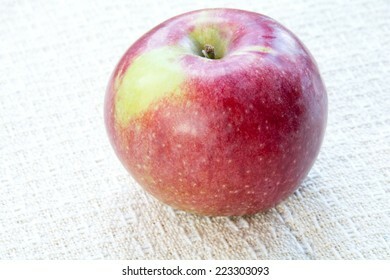 The macoun apple is a popular heirloom apple. 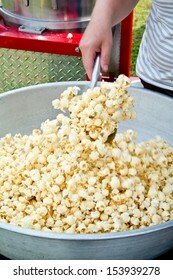 A freshly popped batch of kettle corn awaits customers. 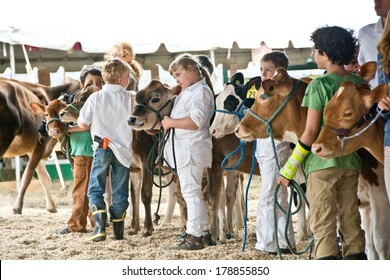 VERMONT, USA - SEPTEMBER 15, 2013: Children line up with their heifers to hear the results of the 4H livestock competition at the Tunbridge Fair. 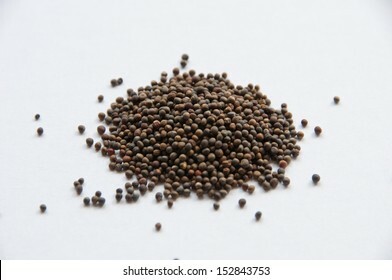 A pile of broccoli seeds is ready to plant in a spring garden. 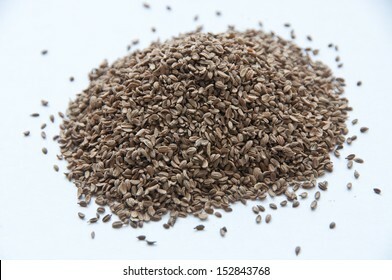 These seeds are from the Tender Green variety. 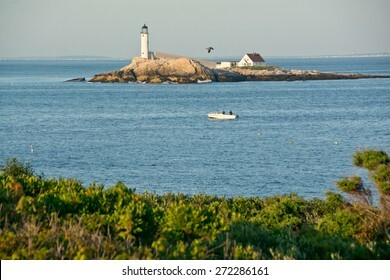 Rye, NH, USA - August 9, 2014: Early morning fishermen try their luck in the strait between Star Island and White Island on a clear summer day. 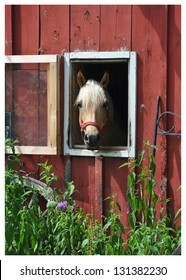 A horse peeks out the window near a No Smoking sign on an old red barn. 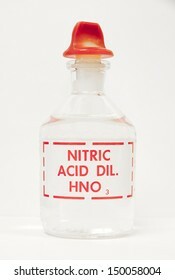 A bottle of nitric acid sits on a laboratory bench. 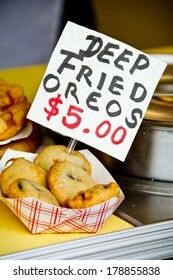 VERMONT, USA - SEPTEMBER 15, 2013: Stands at the midway of the Tunbridge Fair offer a variety of fried foods, including this plate of deep fried Oreos. The Oreo brand is owned by Nabisco. 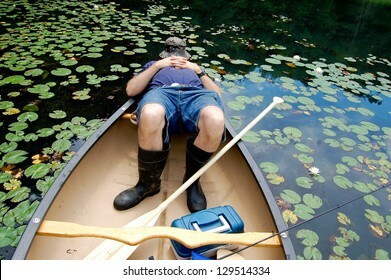 This man is shown dressed for a fishing expedition, with fishing pole, tackle box, fishing hat, and rubber boots, asleep in the back of his canoe. Lily pads fill the water around the boat. 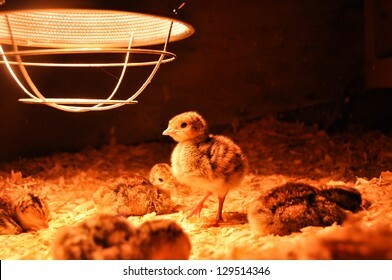 A group of freshly hatched turkey poults rests under a brooder lamp. One poult is on its feet, looking for a midnight snack. These are broad-breasted bronze poults, about 3 days old. 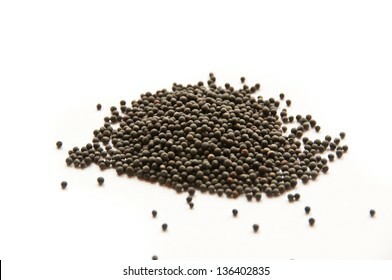 A pile of cabbage seeds is ready to plant in a spring garden. 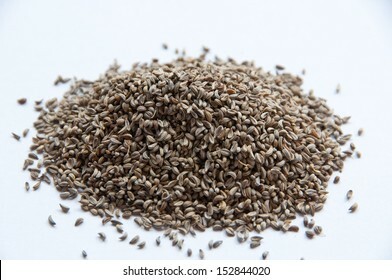 These seeds are from the Golden Acres variety. 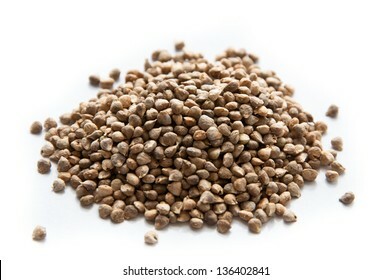 A pile of parsley seeds is ready to plant in a spring garden. These seeds are from the Gigante d'Italia variety. 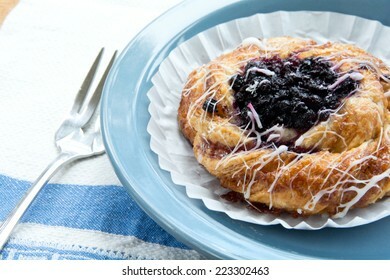 A blueberry danish with white frosting tempts diners on a blue plate. 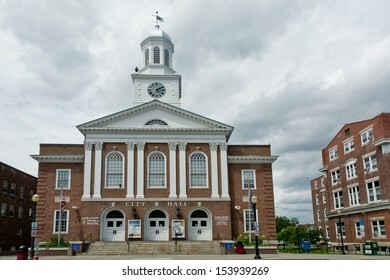 Lebanon, New Hampshire City Hall is located on North Park Street in downtown Lebanon. 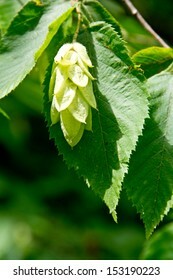 This is the fruit pod of the American hop hornbeam tree. This tree is known for its exceptionally dense wood. 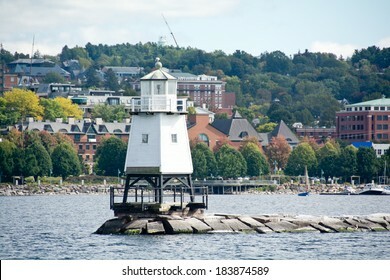 Queensboro Light graces Chedabucto Bay north of Halifax. 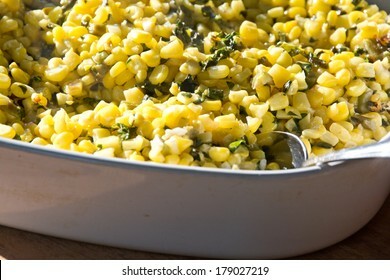 This dish contains corn and kale fried in butter. 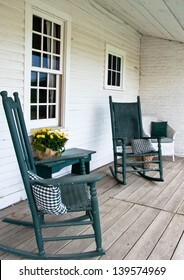 Two rocking chairs invite one to sit a while on this old porch. 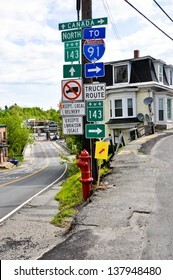 This brilliant red flower of the staghorn sumac will soon be followed by edible berries rich in vitamin C.
This road sign in the tiny village of Derby Line, VT marks the border between the US and Canada. 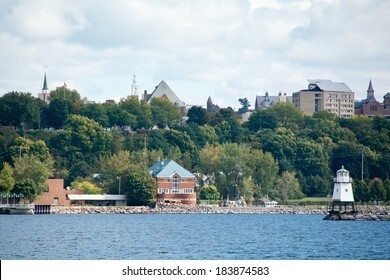 The Canadian customs inspection building is visible in the left side of the picture. 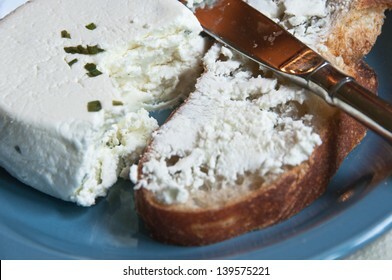 A slice of bread is spread with farm fresh herbed goat cheese. 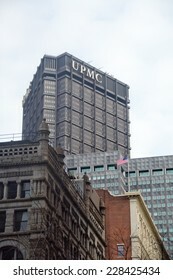 Pittsburgh, PA, USA - January 16, 2014: A flag flaps in the wind beneath the University of Pittsburgh Medical Center hospital tower on a winter day. 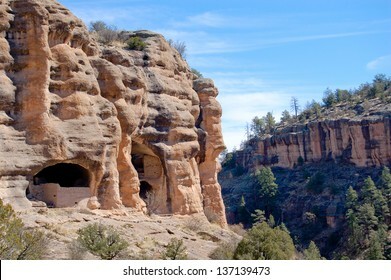 The Gila Cliff dwellings are featured in the Gila National Monument in southern New Mexico. 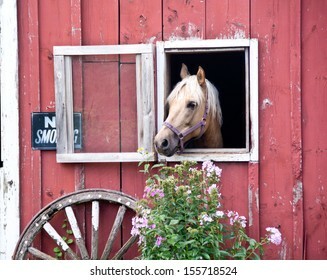 A horse peers out of its stall in a weathered barn on a late June morning with green plants and flowers growing up the side of the barn. 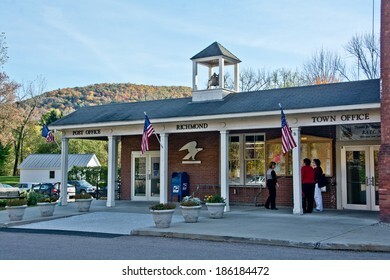 Richmond, VT, USA - October 10, 2013: Local residents pause to chat with each other outside the Richmond Town Offices on a sunny autumn afternoon. 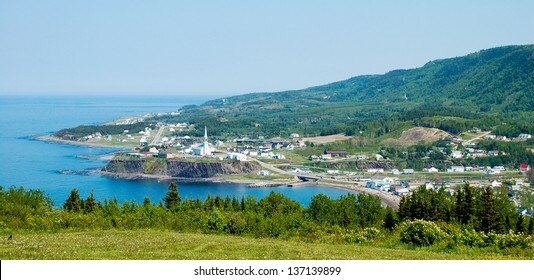 The tiny Gaspe (Quebec) village of Petite Valle can be seen from the coastal road. 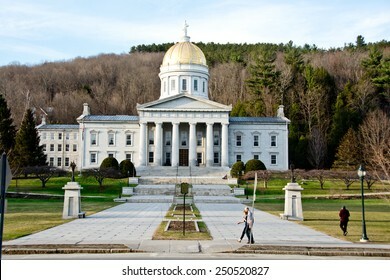 Montpelier, VT, USA - April 21, 2014: Pedestrians stroll in front of the Vermont Statehouse in Montpelier on a warm spring evening. 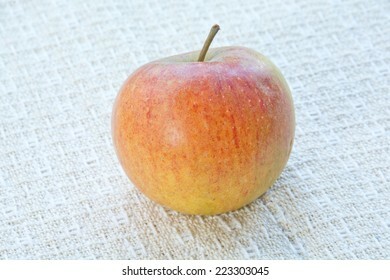 The Cox's orange pippin apple is a popular heirloom apple. 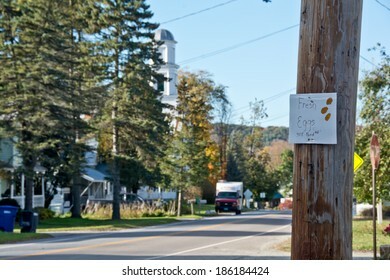 Huntington, VT, USA - October 10, 2013: A local resident advertises fresh eggs with a sign tacked to a telephone pole on Main Street on this sunny autumn afternoon. 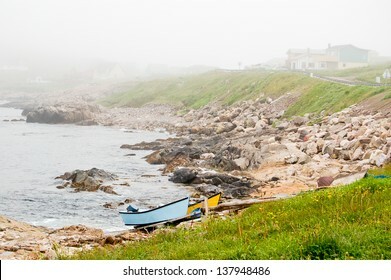 Small fishing boats are pulled up to the rocky coast just outside of St Pierre city. 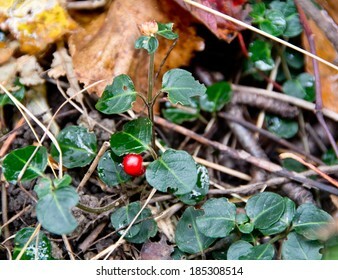 This red berry of the partridge berry plant (Mitchella repens) is a tasty wild edible fruit. Wild black cherry (Prunus serotina) blossoms shine brightly in the spring sun. 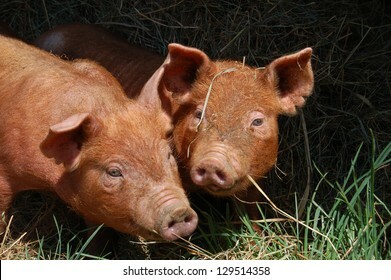 This pair of Tamworth piglets are enjoying playing in the pasture in spring. Tamworth is a heritage breed of pig, distinguished by its tan coloring and long bodies. 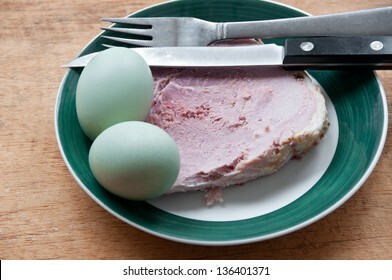 Green araucana eggs sit on a plate with a thick slice of ham. These eggs are from Araucana chickens and appear in their natural colors--they are not dyed. 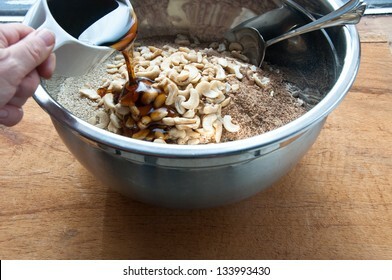 Maple syrup is being poured into a steel mixing bowl containing the raw ingredients for granola: oats, sesame seeds, sunflower seeds, ground flax seeds, and cashews. 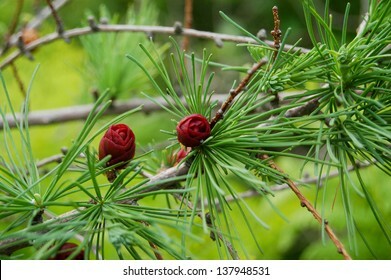 Deep maroon cones contrast with the fresh green needles on a tamarack (Larix laricina) branch in spring in Nova Scotia. 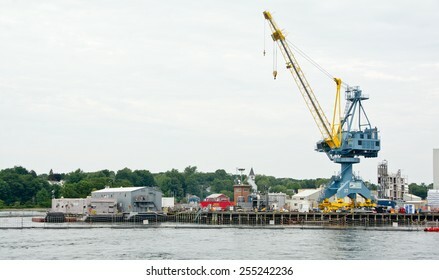 Portsmouth, NH, USA - August 2, 2014: Cranes stand at the ready at the Portsmouth Naval Shipyard on this Saturday afternoon in mid-summer. 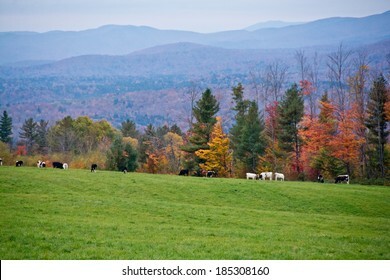 These dairy cows enjoy some of Vermont's finest mountain views. 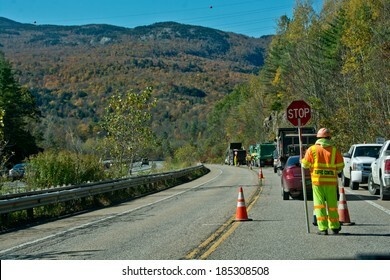 Bolton, VT, USA - October 9, 2013: A traffic control worker stops traffic on Vermont State Highway 2 during a paving project on a clear autumn day while cars stream by on the adjacent Interstate 89. 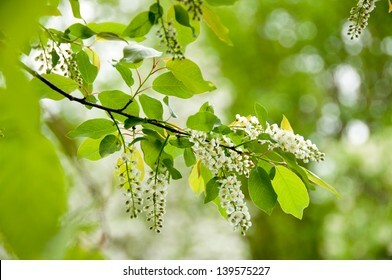 The Kentucky coffee tree is a small tree of south eastern North America. 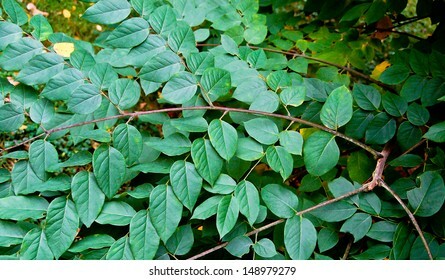 Its leaves are doubly compound. 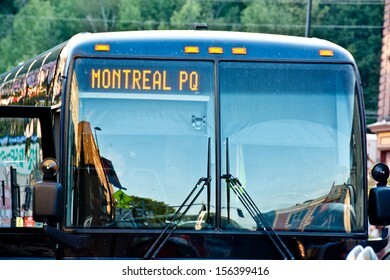 This bus is headed straight to Montreal. The stickers on the bus door prove that the bus has passed state inspections. 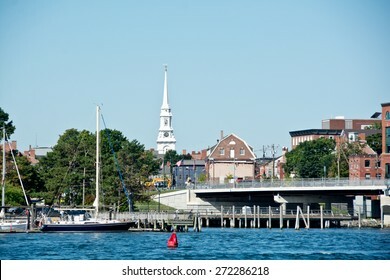 Portsmouth, NH, USA - August 9, 2014: Boats are moored off the dock below Harbor Place in downtown Portsmouth on this sunny summer morning. These 10-day old piglets are rooting in the dirt near a metal fence. 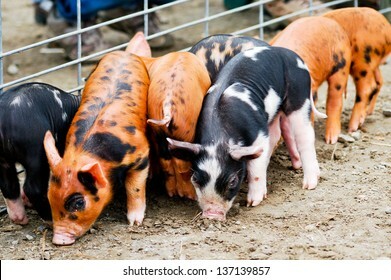 The piglets are a cross between Tamworth and Berkshire, both heritage breeds. 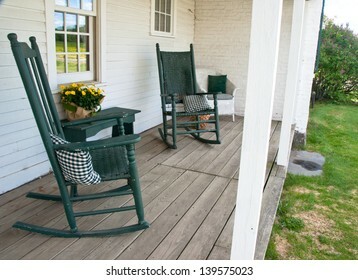 Two rocking chairs create a peaceful scene on this old porch. 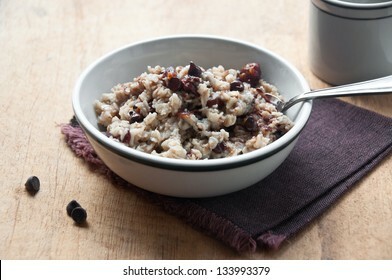 A bowl of oatmeal with dried sour cherries and chocolate chips awaits the morning diner. 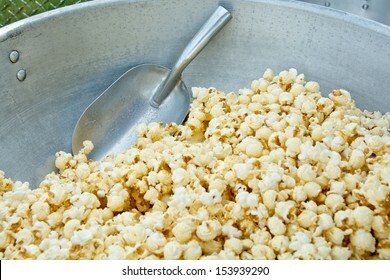 A woman stirs salt into a freshly popped batch of kettle corn. A Tamworth Berkshire cross piglet delights in rooting in the grass on its first trip out of the barn. A forester has strung diameter tape around an old sugar maple in a section of old growth forest in Vermont. 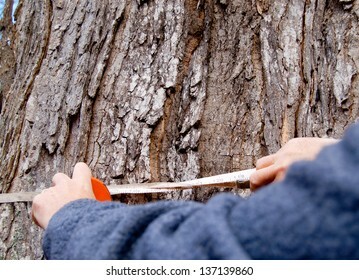 According to the tape, the tree is 121 inches (310 cm) at breast height. 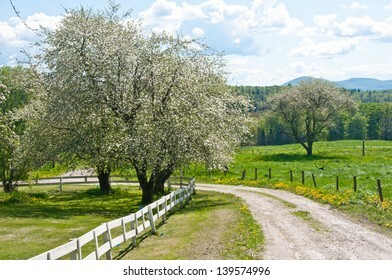 A narrow country road winds through an old apple orchard in Vermont. 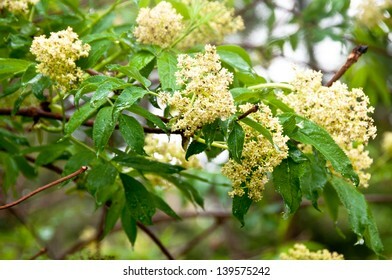 Red elder (Sambucus racemosa) is one of the earliest flowering wild shrubs of spring. 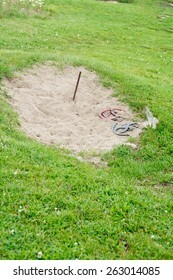 Red and blue horseshoes lie at the ready in this lawn horseshoe pit. 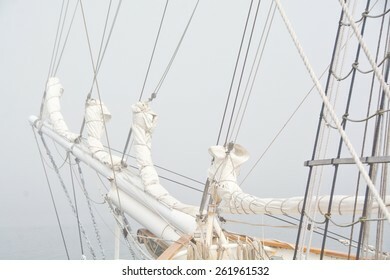 Sails are bound for storage on this well-rigged schooner. A pile of spinach seeds is ready to plant in a spring garden. These seeds are from the Bordeaux variety. 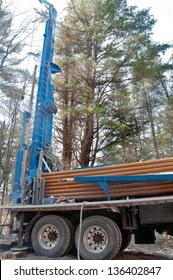 A water drilling rig is set up ready for use. Stacked against the rig are numerous casings for the well. 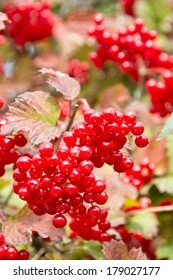 Edible high bush cranberries sparkle with ripeness in early autumn. 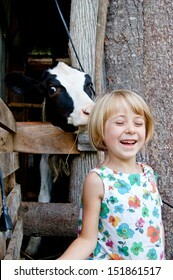 A child grins in delight as a cow licks the back of her head. 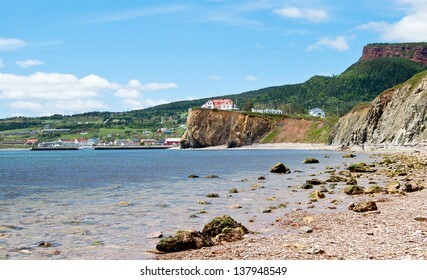 The tiny village of Perce is on the southern coast of the Gaspe Peninsula in Quebec. This photo was taken from the shore near Perce rock. 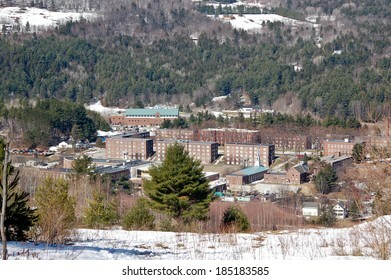 Norwich University in Northfield, Vermont is America's oldest private military college. 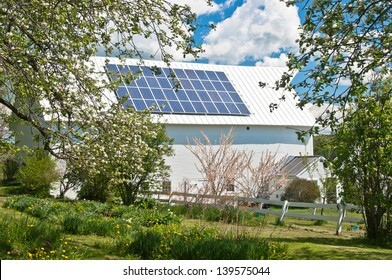 An old barn is brought up to date with solar panels on this Vermont farm. 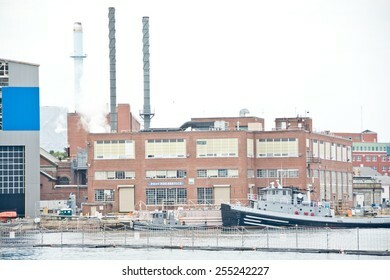 Portsmouth, NH, USA - August 2, 2014: US Navy tug YTB 771 is docked near the PNBY Tug Service building at the Portsmouth Naval Shipyard on this summer afternoon. 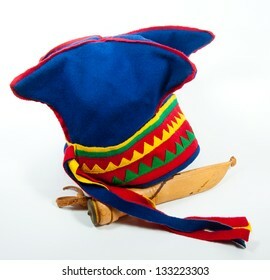 A traditional Saami (Lapp) is shown together with a hunting knife from northern Lappland. The knife shows the wear and stains of heavy use. 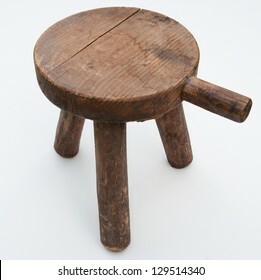 This hand made milking stool has seen years of heavy use. It has a handle attached to the seat according to traditional design. 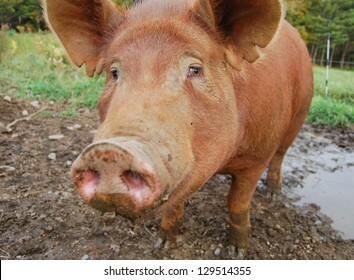 This pig has a sorrowful expression on his face, as if to say "I ate way too much!". The focus is on the expressive eyes, and the snout is distorted as it reaches for the camera lens. 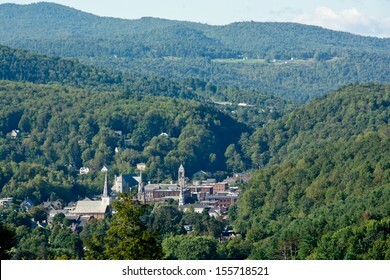 Vermont's state capitol is nestled in the heart of the Green Mountains. 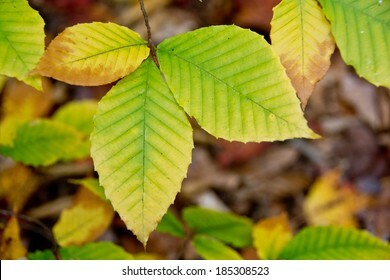 These beech (Fagus grandifolia) leaves have just begun turning from green to yellow in the fall. 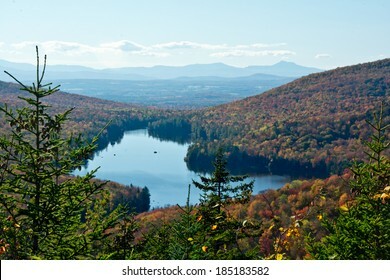 Lake Groton is in the heart of Vermont's Groton State Forest. A 2-week old goat kid is wearing a small red collar. 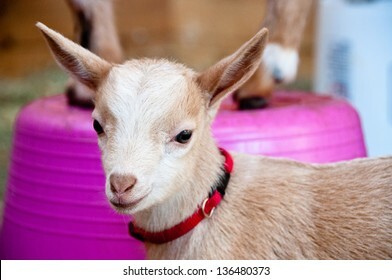 A sibling goat stands on a pink bucket in the background. 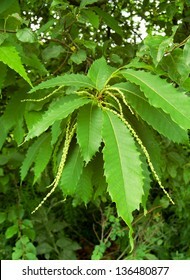 This American chestnut (Castanea dentata) is in full bloom in early summer. 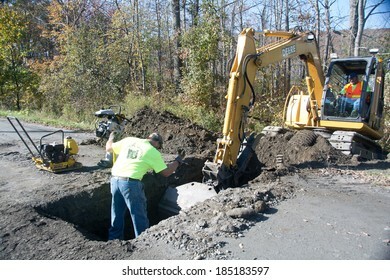 Berlin, VT, USA - October 2, 2013: On a warm autumn morning, members of the Berlin, Vermont road crew cut a trench in Paine Turnpike Rd in order to install a new culvert. 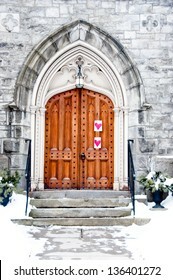 A stone church with an ornate wooden door has hearts hung to one side. 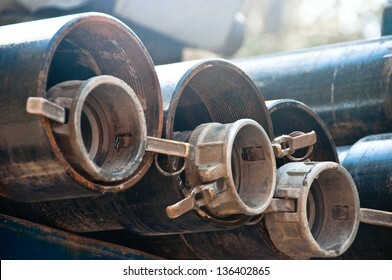 Couplings and drill casings are lined up ready for use at a water drilling site. 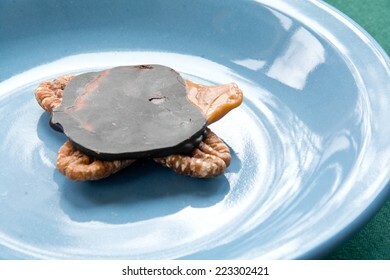 This caramel pecan turtle has pecan feet and head, with a chocolate covered pecan belly. 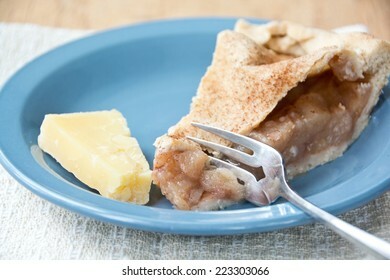 This homemade apple pie is served up with a chunk of artisinal cheddar cheese. 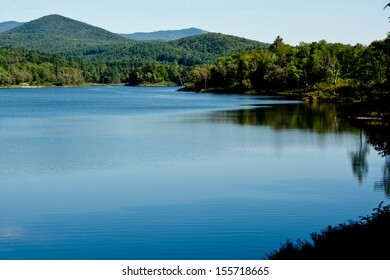 Wrightsville Reservoir is a popular recreational area for swimming and boating in Middlesex, Vermont. 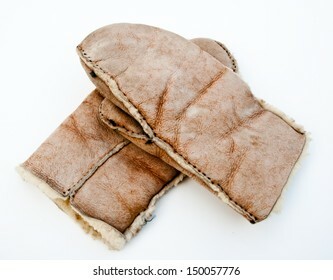 These heavy handmade sheepskin mittens have seen years of use in keeping hands warm. This National Historic Landmark is the site of Henry David Thoreau's original cabin along Walden Pond in Concord, MA. 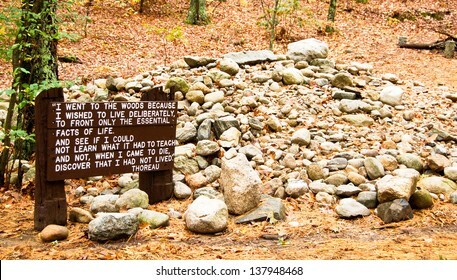 Visitors traditionally leave a rock on the site to honor Thoreau. 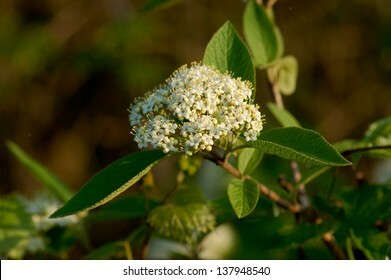 A sheepberry viburnum (Nannyberry, Viburnum lentago) flower head lit in the golden glow of the setting sun. Also visible are the lamb's ear shaped leaves of this popular landscaping shrub. Portsmouth, NH, USA - August 9, 2014: Giant cranes stand at the ready at the Portsmouth Naval Shipyard on this sunny summer morning. 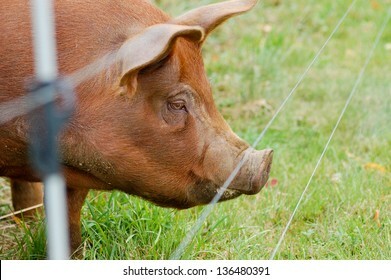 A market sized Tamworth pig stands in a pasture of green grass with his nose almost touching the wires of an electric fence. 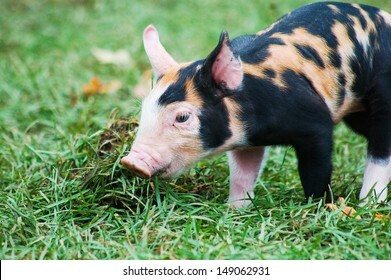 The Tamworth is a heritage breed, known for excellent bacon. 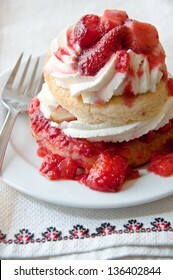 A serving of strawberry shortcake sits on a plate. In the foreground is a fork on an attractive blue embroidered napkin. 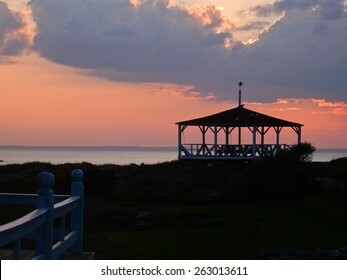 An old gazebo is silhouetted against a purple-red sunset sky. 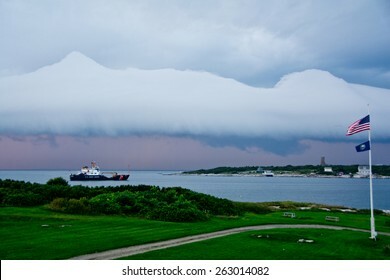 Rye, NH, USA - August 6, 2015: US Coast Guard buoy tender Marcus Hanna waits out a passing thunderstorm at Gosport Harbor off Star Island.